What To Do When Your Baby Cries While You Are Driving! The character of babies vary from one to another. While some can stay calm and quiet for a long period of time, others just can’t. They easily register their displeasure or discomfort by crying, and sometimes, it’s so loud that you definitely must stop whatever you are doing to pet them. This may not be so difficult if you are at home or in a relaxed environment, but how about when driving? 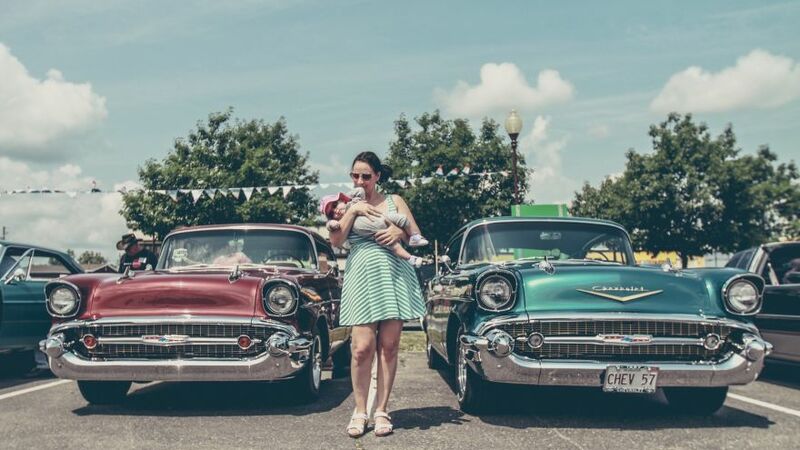 There are a number of things you can do or put in place while driving to keep your baby comfortable. We will be discussing some of these tips below. Over time, parents tend to understand their babies and learn what turns them on or off. Some babies sleep at a specific hour of the day, and may be comfortable sleeping on any cushion. Some, on the other hand, don’t have a specific sleeping time, and may feel uncomfortable sleeping on any other platform apart from the cot they are already used to. If you have studied and learnt some of these information about your baby then it is easier for you to plan your trip in such a way that he/she doesn’t feel uncomfortable. White noise have been useful over the years in causing babies to sleep. 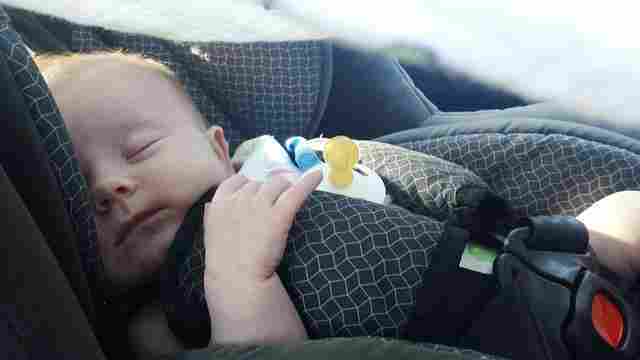 This can come in handy if your baby is the type that usually fall asleep while in the car. Like I said in the previous paragraph, you need to understand your baby’s sleeping rhythm and plan accordingly. If you travel at a time when your baby is usually asleep, and for some reason he/she wakes up during the journey, feel free to use a loud white noise to soothe and get him/her back to sleep. And if perhaps, you forgot your baby’s teddy bear with white noise at home, you can download and use white noise apps on your smartphone. If you have one or two older kids then this will be a valid option. Babies hate loneliness and will most likely cry the moment they sense that they are alone. If you are traveling with your other kids, you can get them to keep their younger one company. They can do this by making funny faces, talking to the baby, mimicking the voice of the baby, and probably singing. Any other creative idea would also do. A lot of families try to avoid buying cars with a DVD and LCD screen because they don’t want their children becoming too addicted to TV. This is not a bad idea, but a DVD may be useful in some situations. 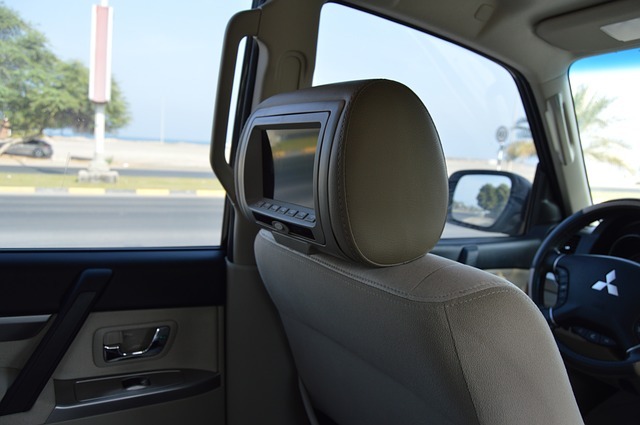 If you have a slightly older baby whose cry will definitely distract you from driving and getting to your destination on time, turning on your car’s DVD and playing cartoon could attract his/her attention. Apart from cartoons, an educative video may also do the magic. Toys have worked wonders over the years in calming and making kids happy. The jingling noise from most toys seems to capture their attention really well. If you are going out of your home with your baby then it is important that you go with some toys. A lot of people buy toys for their baby’s car seat and this is a wise idea. Most of these toys cost below $50 and they come in various designs. You can permanently position the toys on your baby’s car seat so that even if you forget to come along with his/her regular toy, you still have one to fall back on. It is advisable to take breaks while on a long distance journey especially if you are driving. However, with your baby in the car, you are likely to take more frequent breaks, especially if he/she is awake. Try to maximize the period in which your baby is asleep and avoid taking breaks then. This is a period when you should drive fast but safely, avoid noises, hard braking, fast acceleration, and all other car disturbances that could wake him/her up. While your baby is awake, take breaks after every few miles to play with him/her. Remember, babies hate to be alone. Sounds funny but believe me, this can do the trick. All some babies need to stop crying is to see the face of their parent. You can adjust your vehicle’s rear view mirror in such a way that your reflection is seen whenever your baby looks at it. This can swing him/her into a happy state where he/she starts playing, and probably muttering some of those normal baby languages. You have to become extra careful after turning your rear view mirror. 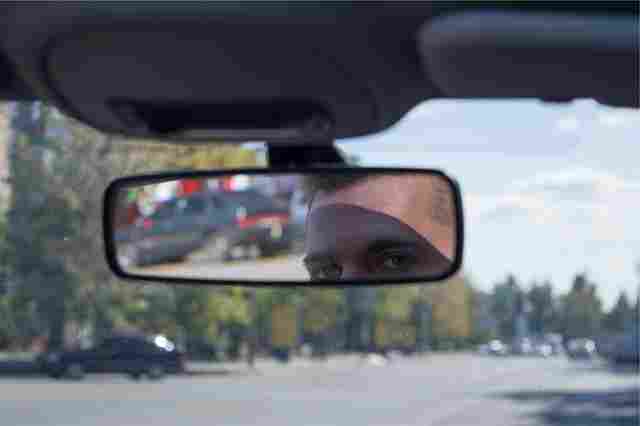 Use both side mirrors instead to see vehicles behind you, and always be conscious of the fact that your rear view mirror is no longer in position. Another thing you can do is to reduce your speed a bit if you feel unsafe driving without your rear view mirror. It is not so easy to drive with a crying baby and there are times when you lose your cool. No matter the situation, remain calm and just try not to get upset by the noise. In fact, just take it to be a pleasant noise and you will feel a bit better. I also want you to know that there are times when almost nothing you do will stop your baby from crying. Rather than endangering your life, and that of your baby while behind the steering wheel, let him/her cry. As long as your baby is sound medically, crying would not hurt him/her. I want you to trust me on this. I know it is difficult to ignore a crying baby, but like I said in a paragraph above, you know your baby best. 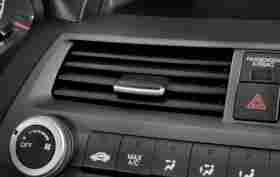 If the cry is one that would not end soon, and nothing you do will help; just listen to your favorite music while driving, and turn up the volume a bit.